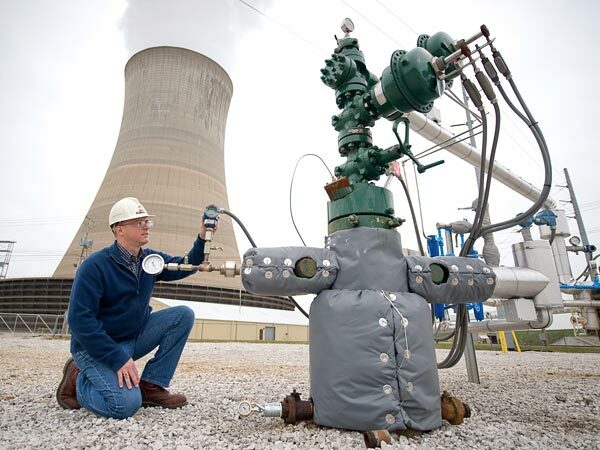 In 2010, the Environmental Protection Agency (EPA) moved to regulate the geologic storage of carbon dioxide (CO2) through the Safe Drinking Water Act (SDWA)’s Underground Injection Control (UIC) program. The new category of well, known as Class VI wells, are used to inject CO2 into deep rock formations. These requirements, also known as the Class VI rule, are designed to protect underground sources of drinking water. The Class VI rule builds on existing UIC program requirements, with extensive tailored requirements that address carbon dioxide injection for long-term storage to ensure that wells used for geologic sequestration are appropriately: sited, constructed, tested, monitored, funded, and closed. A requirement of obtaining a Class VI permit is a demonstration of financial responsibility. Financial responsibility requirements are designed to ensure that owners or operators have the resources to carry out required Geologic Storage (GS) activities related to closing and remediating GS sites if needed, during injection or after wells are plugged, so that they do not endanger Underground Sources of Drinking Water (USDWs). These requirements are also designed to ensure that the private costs of GS are not passed along to the public. The United States Energy Association (USEA), in cooperation with the U.S. Department of Energy Office of Fossil Energy (DOE), seeks proposals for a consultant to undertake a review of Class VI permits, both finalized and permits which were not completed, to assess methods which companies have used or could potentially use to demonstrate financial responsibility. A component of this project will also be to engage with project developers, as well as financial entities, to assess the viability and applicability of a number of available mechanisms, including how they apply to Class VI requirements and any recommendations for future permit applications under Class VI regulations. The intention of this study is twofold: first, to inform future geologic storage demonstration programs through a refining of costs which will aid the Department of Energy in assessing future projects, and second to provide potential projects with a list of mechanisms beyond those which they may already consider. The Contractor will facilitate a face-to-face or electronic meeting of the parties participating in or supporting this contract. Parties shall include: members of the Insurance industry who have shown interest in insuring geologic storage projects; potential project managers or participants, including members of the Regional Carbon Sequestration Partnerships and any projects who have applied for Class VI permits, representatives from the US Department of Energy’s Office of Fossil Energy, and any other research or financial organizations who may have interest in UIC Class VI permits. The invitation list shall be shared with input requested from representatives from DOE’ s Office of Fossil Energy, and be limited to a reasonable number to be identified, based on schedule, availability, and meeting space. Must be done in coordination with USEA and USEA retains final approval. If and when possible, meetings will be held at the USEA office conference room at 1300 Pennsylvania Ave NW, Washington DC 20004. If there is no space available or if there is ample justification for a meeting outside of Washington, then with USEA’s approval an alternative location can be considered. Seek input from meeting participants regarding the methodology and approach proposed to be used to execute Task 2 and Task 3 (below) and facilitate a discussion of mechanisms that might be analyzed to a greater extent in Tasks 2 and 3 that, in the judgment of the meeting participants, might be used to address and overcome the identified barriers. Meeting participants will be asked to identify industry participants who might be able to provide expertise on financial responsibility aspects being addressed in Task 3. Working in close cooperation with USEA, prepare a summary report detailing meeting proceedings containing a list of participants, complete with contact information. This meeting summary will be included in the interim and final reports. In addition, the scope of work may be adjusted to include other mechanisms which the Contractor may find useful in determining financial responsibility, including methods used to complete the permit process. The scope of work will be reviewed with the contractor, as stated in Task 1 above. Must be done in coordination with USEA and USEA retains final approval. If in Washington, DC the meeting will be held at USEA’s office. Approach to developing the white paper to better enable the planning of future Class VI projects undertaken by the Department of Energy or industry participants. Note: The proposal should also include, as an appendix, copies of the resumes of the individuals nominated to work on this project, indicating the specific tasks they will be performing through the scope of work outlined in this RFP. The sub-agreement between USEA and the winning offer will be structured as a fixed sub-agreement for labor, fringe benefits and overhead. USEA will fund other direct costs, including travel (transportation, lodging and a U.S. Government approved daily meals and incidental allowance) directly. USEA will also fund directly all costs necessary to conduct the meetings. The cost proposal should include an estimate of the number of trips required to organize and conduct each of the two meetings. Labor costs should include a level of effort for each person proposed to work on this assignment, their daily loaded rate, and the total estimated charge for each individual proposed. 20% -- Proven experience in, and knowledge of, geologic storage of CO2 and the EPA’s UIC program requirements including an understanding of the technology and the financial, commercial, environmental, regulatory and technological impacts associated with it. Interested parties are requested to register their interest prior to March 19, 2018 via email to the following mailbox: [email protected]. Registering interest will ensure you receive all questions submitted by interested parties and the corresponding responses from USEA. Questions on the terms of this request for proposals must be submitted prior to March 19, 2018 by email to the following mailbox [email protected]. All questions received and their corresponding responses will be distributed to all parties registering interest in this request for proposals. Final proposals must be submitted by email by the close of business on April 13, 2018 to the following mailbox [email protected].